Happy Tails offers dog training and owner coaching in South West London including Richmond, Barnes, East Sheen, Putney, Kew & Wimbledon. Who Needs a dog trainer? Have you got or are getting a new pup and looking for help to give your pup the best start? Are you looking for help to settle in your new rescue dog? Do you need help training your adolescent or adult dog? Maybe you need a hand with recall or walking nicely on a lead? Perhaps your dog jumps on visitors so having people over can be stressful? Do you simply want to have more fun with your dog and strengthen your relationship? Happy Tails can help you. Hi, I'm Sorrel, a qualified dog trainer working in East Sheen, Barnes, Richmond, Wimbledon, Kew and Putney. I'm proud to be a full member of the Institute of Modern Dog Trainers (IMDT) and a certified Pro Dog Trainer. 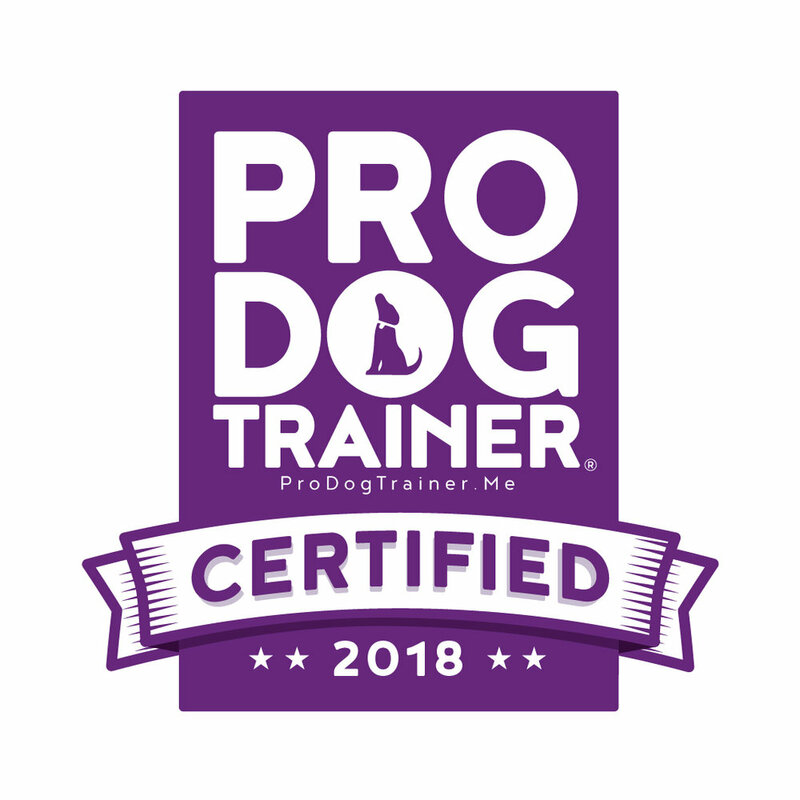 I hold the Dog Training Instructor’s Course Foundation and Advanced Certificates from the Association of Pet Dog Trainers (APDT) and the Think Dog Certificate. Sorrel Coni - Trainer & Founder: As a force free trainer, I only use kind, effective, science based training techniques which involve having fun with dogs using games, food and toy rewards. I am a member of the Pet Professional Guild, the Pet Professional Network and supporter of the International Companion Animal Network. I regularly attend courses and seminars in order to keep up with the latest techniques in modern dog training and the science of how dogs learn. I also learn a great deal from dogs themselves, especially my two springer spaniels. My background is many years of law in the City. When a rescue dog joined our family in 2013 and I became a dog owner, I felt out of my depth and also slightly bewildered by the volume of often contradictory advice given to dog owners. So I started to read and go on courses to learn as much as I could about dogs. Over time, I found myself on a journey from puzzled dog owner to modern dog trainer and able to distinguish between myths and the science of how dogs learn. My experience as a dog owner and subsequent thorough training and qualifications mean that I can tell you what you need to know and help you train your dog. Happy Tails offers small group classes (up to 4 puppies) at a location in Barnes, and also private training in a location of your choice for a more intense, one-on-one programme. We use only ethical, science based, positive reinforcement training techniques which involve food, toys, playing games with and having a lot of fun with your puppy. This 5 week course is run every few weeks at Kitson Hall, Barnes on Thursdays at 2pm for one hour. The next course starts on 07 March 2019. The course has a very small class size, no more than 4 dogs, so as to give your pup the attention it needs. Follow-on sessions to any package can be booked if you would like a refresher or wish to push on further with your dog’s training. These cost £75 per hour. Please get in touch for any more information or just for a chat about your dog's needs. You can call us on 07958443904, email us at sorrel@happytailsdogtraining.co.uk or simply fill in the form below.